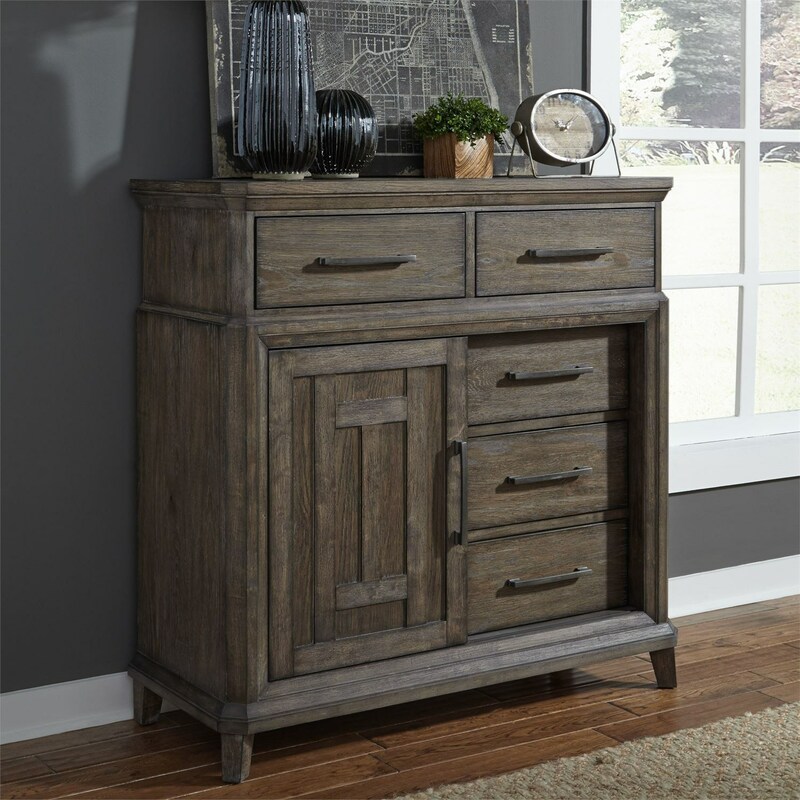 Timeless transitional style turns this chest into the perfect inviting storage piece. Five drawers and a sliding door that reveals three shelves offer more than enough storage space for all your favorite clothing, and even some extra bedding for those cold winter nights. The Artisan Prairie Transitional 5 Drawer Chest with Doors with Cedar Lined Bottom Drawer by Liberty Furniture at Prime Brothers Furniture in the Bay City, Saginaw, Midland, Michigan area. Product availability may vary. Contact us for the most current availability on this product. The Artisan Prairie collection is a great option if you are looking for furniture in the Bay City, Saginaw, Midland, Michigan area. Browse other items in the Artisan Prairie collection from Prime Brothers Furniture in the Bay City, Saginaw, Midland, Michigan area.